Gilmar Group and Paolo Pecora announce an exclusive worldwide license agreement for the production and distribution of the Paolo Pecora menswear line. The partnership marks a symbolic union between two leading names in the realm of premium knitwear, for both companies share a propensity for innovation, quality and research. Adding to the high international profile of the project is a keen attention to marketing, merchandising and organization. Starting with the fall/winter 2014-2015 season, the new collection will be available for sale at all Gilmar showrooms and by select agents and distributors. Also, it will make an exciting fashion debut at the January 2014 edition of the Pitti Immagine Uomo tradeshow in Florence. Iceberg and Mantero Seta have signed a license agreement entrusting to the prominent Como-based silk weaving company the exclusive production and worldwide distribution of the Iceberg women’s textile accessories lines. The partnership will begin effectively with the Iceberg Fall/Winter 2014/2015 women’s collection. Innovation and tradition intersect at a time of great creative impetus for Iceberg. Now the fresh energy marking the new collections will also benefit from Mantero Seta’s solid experience and outstanding product quality. This alliance between leading names in the spheres of knits and silks, respectively, will serve to enhance the value of the all-important “Made in Italy” factor with the aim of impacting the international fashion scene and meeting the demands of emerging markets. Mantero is a family-run company established in Como (Italy) in 1902 by Riccardo Mantero. With more than a century of history, including the succession of four generations at the helm, the famous Italian silk weaver is now a modern integrated company with a solid organizational structure. An undisputed leader in the creation, production and distribution of fabrics and textile accessories for men and women, it places the products under license on the market through its own branch offices abroad as well as through an extensive network of sales agents and distributors. Produced and distributed by GILMAR, the men’s collection is the natural evolution of N°21 world with well-defined style code. N°21 men’s collection will be composed by 21 looks those which represent the perfect male wardrobe according to Alessandro dell’Acqua. N°21 men’s collection will follow the same distribution as covered by the women’s collections, with the initial goal of reaching the most important multi-brand stores in Europe, America, Asia, the Middle East, as well as the best e-commerce. “I’m excited about this new project, a key step in the growth and development of my brand.” said Alessandro Dell’Acqua founder and Creative Director of N°21. The year 2014 has every prospect of being a hallmark one for Iceberg. Thanks to a repositioning of both product and image on all international markets, it will mark a turning point at a time of deep change for the entire fashion system. Forty years after the brand’s launch, Iceberg is heading in a fresh direction with a new designer – Alexis Martial, young Parisian talent who boasts solid experience at Alexander McQueen, Givenchy and Paco Rabanne – as the creative force behind the women’s line and with the supervision of all projects fully in the hands of Paolo Gerani, Gilmar Group CEO. Created in 1974 by Jean Charles de Castelbajac and Giuliana Marchini Gerani, Iceberg is a prominent Italian brand with a rich heritage and a strong luxury sportswear orientation. The concept of fashion knitwear set the stage for the extraordinary communication strategy masterminded by photographer Oliviero Toscani with his famous “I Contemporanei” ad campaign where leading personalities from the worlds of art, sports and design captured attention in sweaters that were expressions of Pop Art experimentation conducted by Jean Charles de Castelbajac together with company founders Giuliana Marchini and husband Silvano Gerani. “No nostalgia. 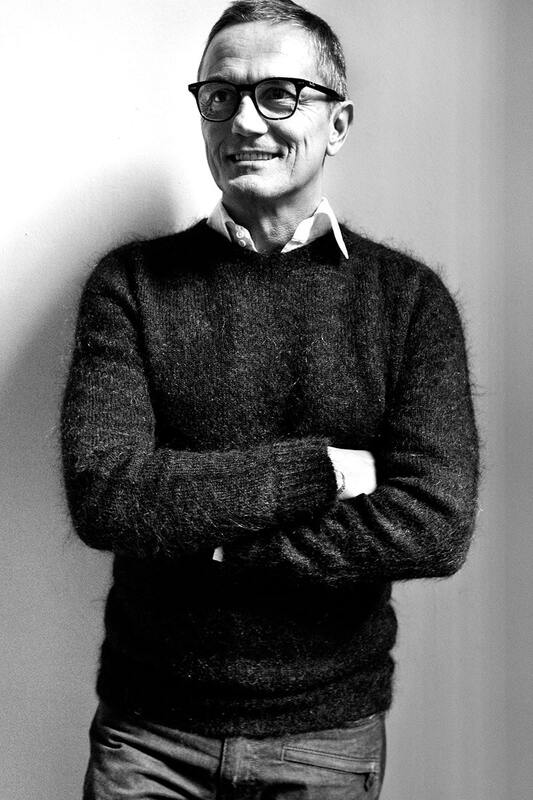 Rather, we are moving keenly forward in the spirit of always toward contemporariness, creative imagination, above all with the sense of speed, freshness and wealth typical of Italian fashion,” Alexis Martial explains. 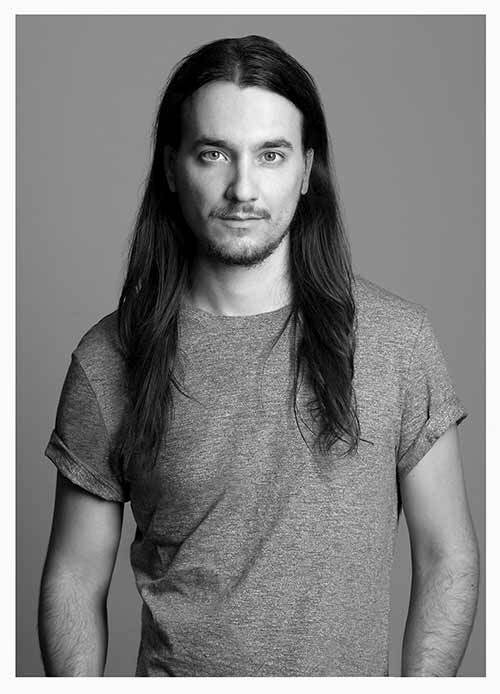 Here today on September 20th 2013 with the spring-summer 2014 collection Alexis Martial makes his debut as the creative director of Iceberg womenswear. 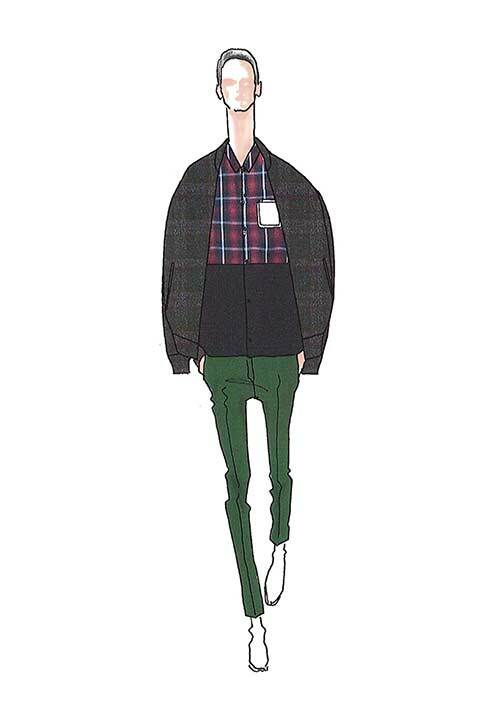 menswear, starting from the spring-summer 2014 season. his Artistic Direction,” Federico Curradi enthuses. craftsmanship and aggressive American marketing know-how. Iceberg, a Gilmar Group house brand, will begin launching Breaking the Ice – Iceberg by Yi Zhou in late June. A unique and special capsule collection designed by Yi Zhou, it’s an exquisitely Italian project under the creative direction of this young and talented Chinese artist. The idea came from Yi Zhou’s rewarding encounter with Paolo Gerani, Artistic Director of the Iceberg brand. Basically, the Chinese artist would lend her talents to Made in Italy quality, craftsmanship and know-how, while China would become an outstanding example of creative design and no longer mere world capital of low-cost manufacturing. Yi Zhou decided to have Iceberg produce clothes and accessories that will draw on her eccentric personal aesthetic and on her childhood experience of living in Italy, where she acquired a deep appreciation for Italian elegance and style. 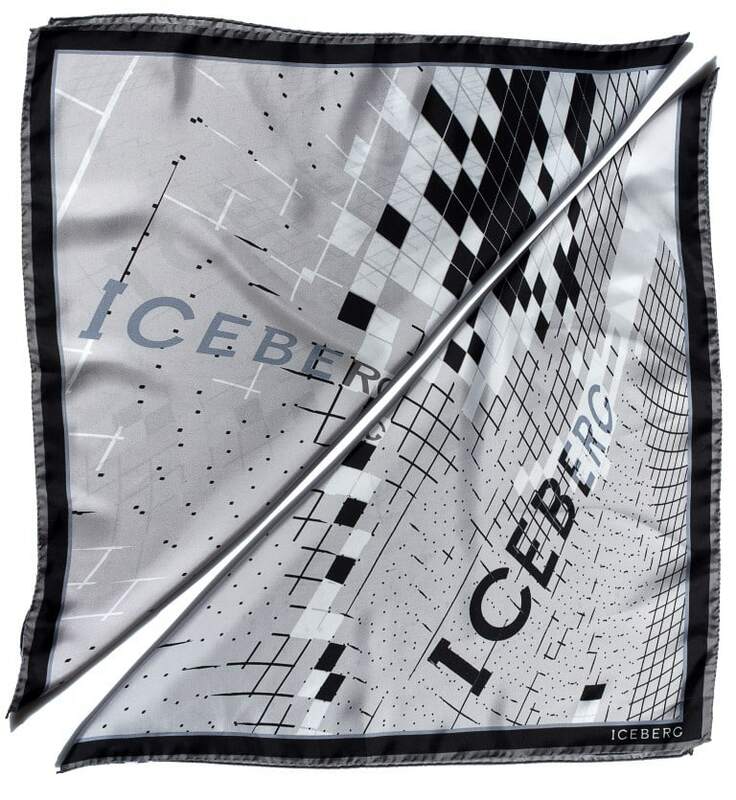 Ultimately, Breaking the Ice – Iceberg by Yi Zhou will consist of men’s and women’s sportswear items that reflect in full the DNA of a brand famous across the globe for having given new definition to the genre. The world premiere of this innovative iconic Iceberg collection by Yi Zhou will take place in July 2013 during a major multimedia event in Hong Kong.